There is something to be said about working in your home community. The sense of ownership that comes with living, working and enjoying the quality of life your town or county provides is empowering. As a job search begins, many people don’t know how to find work locally. 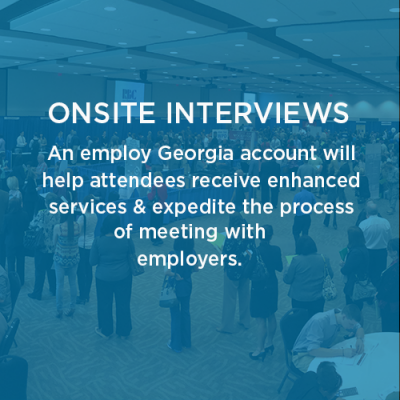 They don’t realize that the positions they are looking for can be found a few miles away from home, and that is where the Cherokee Career Expo provides opportunity. The vast majority of attendees are Cherokee County residents, all with different stories and reasons for being here. 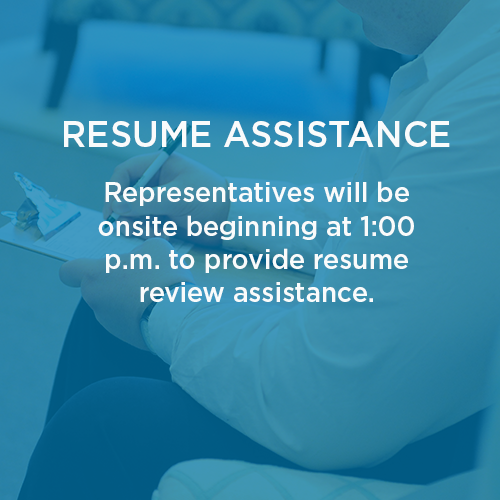 When: Wednesday, March 13, 2019 | Resume review assistance begins promptly at 1:00 p.m. Doors open at 2:00 p.m. and close at 6:00 p.m. If you are an employer who is interested in participating in the expo, click HERE to download the registration form. A worldwide market leading manufacturer of production solutions within the chocolate, bakery, and confectionary industries. Aasted is North America is seeking a Service Engineer and Technician. Awnex designs, engineers, manufactures and installs canopies, signs, ATM and drive-thru covers and other bolt-on architectural enhancements for QSR retail and banking markets. Awnex has openings in fabrication and shipping. Black Airplane is an award-winning, full-service website design and development agency based in Woodstock, GA. Black Airplane is seeking a Developer. Belnick, Inc. is a large internet furniture distributor selling high-quality office chairs & furniture, including furniture for restaurants, churches, schools, and homes. Belnick is searching for Warehouse personnel for their Canton facility. The Canton Police Department works to provide the safest environment possible for all who live, work, and travel through the City of Canton. The Canton Police Department is seeking Police Officers to join their ranks. Catamount Constructors is a commercial general contractor and construction management company that offers expertise across multiple project types and markets. Catamount is seeking skilled carpenters, apprentice carpenters, interns, and admins. Chart Industries is a growing, global company with more than 4,000 employees and operations in Europe, Asia, Australia, and the United States. They make high quality, highly engineered products that improve the quality of people’s lives, advance medical research, and contribute to a cleaner, more sustainable world. Chart is looking to fill the following positions in Canton, GA: Welders and Generalists. Cherokee County Board of Commissioners The Cherokee County Board of Commissioners is dedicated to providing a “Superior Quality of Life” for its residents. Cherokee County is searching for various full and part-time roles, including Public Safety and CRPA positions. Cherokee County E 9-1-1 The Cherokee County E 9-1-1 serves as the communications link between the public and emergency responders serving Cherokee County. The Cherokee County E 9-1-1 is searching for 3 full time and 3 part time Communications Officers. The Cherokee Sheriff’s Office is an Equal Opportunity Employer seeking to hire a Deputy Sheriff. 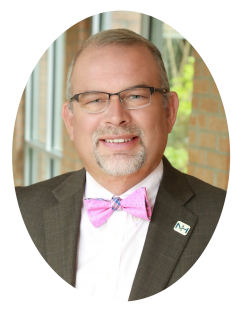 Cherokee County School District is a high-performing public school system in Metro Atlanta, with 42 schools and centers, 4,800 employees and more than 42,200 students. The CCSD is seeking Teachers, Counselors, Nurses, Bus Drivers, and School Nutrition Workers. Construction Ready is a FREE four-week program that screens and trains entry-level workers. Earning up to eight industry-recognized credentials, graduates of construction-ready are drug-free, trained, credentialed and motivated to work. In Cherokee County, the Construction Ready Program will launch for the first time ever in summer 2019. Construction Ready will kick-off in Cherokee on June 3, 2019. Copan Coffee Roasters (CCR) is a coffee roastery and retailer that focuses on specialty coffee from Copan, Honduras. Copan is seeking four Baristas. Five Star Food Service is one of the nation’s largest on-site food and beverage service providers – proudly offering custom solutions to our clients including micro markets, full-line vending, coffee service, pantry service, sustainable products, water (filtered and bottled) service, catering, and corporate food service. Five Star Food Service is seeking the following roles: Cashier, Cook (Pilgrim’s Progress), Vending Route Drivers, and a Market Route Driver. Goodwill is an American nonprofit 501 organization that provides job training, employment placement services, and other community-based programs. They also provide special programs with training for people who have barriers preventing them from otherwise obtaining a job. Goodwill is seeking Store Associates, Customer Service and Career Services Support Staff. 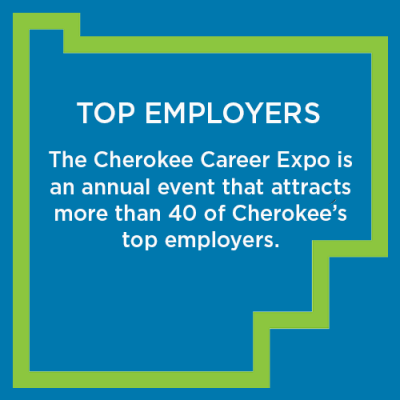 For the first time ever, the Cherokee Career Expo will feature services for active and retired military. 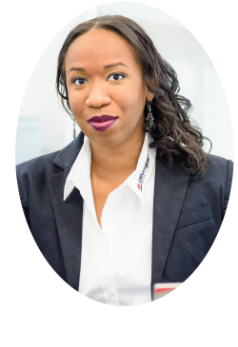 Hire Heroes USA, an organization dedicated to helping U.S. military members, veterans, and military spouses succeed in the civilian workforce, will be available to provide personalized employment services. Intl. Marble Industries, Inc.(IMI) is a leading Engineered Composites manufacturer, with its plant located in Woodstock, GA. Since the early 1990’s, IMI has produced cultured marble shower bases and tub/shower surrounds for General Contractors serving the hospitality, student housing and multifamily markets, as well as hotel owners and renovators. International Marble Industries is seeking positions in Marketing/Sales. Inalfa Roof Systems is one of the world’s biggest providers of vehicle roof systems. Inalfa designs, develops, and manufactures, sunroofs and open roof systems for the major OEM’s in the automotive industry. Inalfa is searching for Assemblers. Jaipur Living is a global lifestyle brand leading the home industry with a transformative business model centered on their passion for people, product, and design. A specialist in rugs and textiles, Jaipur Living is one of the fastest-growing home furnishings companies in the U.S., and India’s largest manufacturer of hand-woven rugs. Jaipur is searching for a Staff Accountant and Warehouse Associates. Kirk-Rudy, Inc. is a major designer and manufacturer of equipment for the mailing, labeling, and packing industries. Kirk-Rudy is seeking to fill the following roles: Electrical Assembly, Inkjet Technician, and Mechanical Assembly. NIS is a premier turnkey wireless contractor specializing in installation, service, and maintenance of wireless sites throughout the Southeast region. NIS has 30 openings for the following positions: Telecom and Construction (non-climbing and climbing). The Northside Healthcare System is an extensive network of state-of-the-art medical facilities, leading-edge technology, and pioneering experience, and is dedicated to the health and wellness of the community it serves. The new Northside Hospital-Cherokee campus comprises the hospital and medical office building on 50 acres – just a part of 300 total acres available to meet the growing community’s health care needs. Northside has various career opportunities that can be found on their website. Northside is seeking the following: Nursing, Clerical, Cleaning, and Food Service. OECHSLER Motion, Inc. is a company of the OECHSLER Group, one of the most innovative companies specializing in the production of precision plastic parts and components. The company has partnered with adidas to manufacture running shoes in Acworth, GA. In the Speedfactory, robots, printing technology, and novel production techniques are used as additive manufacturing. They are always looking to hire talented staff. The current positions available include: Process Engineer and Sewing Machine Operator. Packaging-Atlanta Corp. is a fully-equipped business utilizing top-notch equipment for bold and innovative packaging projects. Packaging-Atlanta Corp. is currently searching for a Machinist/Operator. Primus is a turn-key design and construction management firm that delivers planning, budgeting, engineering, automation, construction, insulated metal panel installation and roofing services to the distribution, processing, manufacturing and sterilization industries. Primus Builders, which is consistently ranked among the industry’s best design and construction firms, is seeking a Project Estimator, Architectural Intern, Human Resources Intern, and a Safety Intern. R&D Mechanical Services, Inc. is a family owned and operated commercial HVAC contractor. R&D Mechanical Services is searching for Commercial Service Technicians. 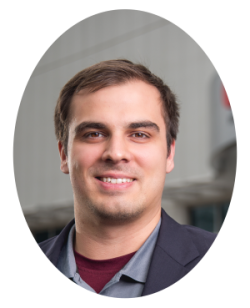 RBC AeroComponents has a long and impressive history as an innovator in bearing technology – one that has been highlighted by patents for creative engineering design. Today, the company comprises a number of facilities throughout North America and Europe, with a global network of sales engineers, aerospace distributors, and authorized agents. RBC AeroComponents is searching for a CNC machinist, Engineering Trainee, and a shipping professional. Roytec Industries LLC has years of experience in cutting and stripping a wide variety of wires. Roytec Industries is searching for a Warehouse Supervisor/Clerk & Production Operators. Southeast Restoration Group, (SRG) is a full service licensed general contractor that provides emergency services, structural repairs, and construction, with an emphasis on insurance repair claims. Southeast Restoration Group is searching for a Mitigation Tech. Universal Alloy is a global leader in the manufacture of Aerospace Products. UAC has grown to become a strong multi-national company that employs more than 1,200 people in their Anaheim, CA; Canton, GA; and Dumbravita, Romania, facilities. Universal Alloy is searching for the following roles: Quality Engineer, Entry level Production Operators, Electricians, Maintenance Machanics, and a Design Engineer. With 1,216 team members living in Cherokee County, WellStar is committed to meeting the community’s healthcare needs as the largest not-for-profit system in Georgia. WellStar Health System is seeking various positions, including clinical. The City of Woodstock Police Department is comprised of 60 sworn and civilian personnel serving the largest municipality within Cherokee County. The department is responsible for the law enforcement services of approximately twelve square miles inhabited by over 32,000 residents and over 2,000 businesses. The Woodstock Police Department is searching for Police Officers. YANMAR is a recognized global leader in the design and manufacturing of advanced performance diesel engines and diesel-powered equipment. YANMAR is searching for Administrative, Warehouse, Service, Marketing, and Sales professionals to join their team.